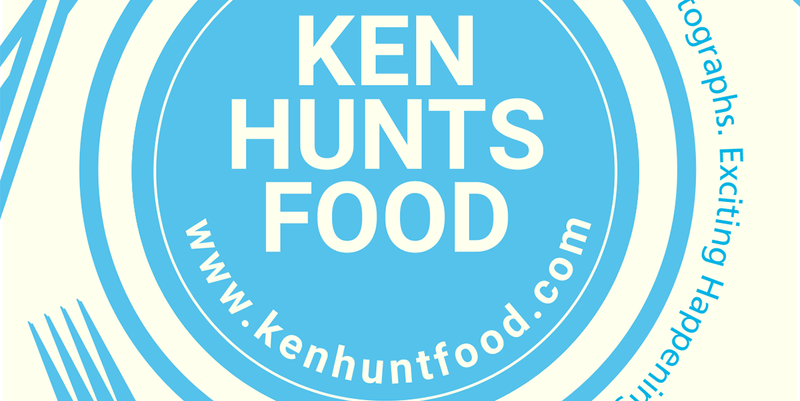 Ken Hunts Food: 2 Day 1 Night Guide to Explore Resorts World Genting, Pahang. 2 Day 1 Night Guide to Explore Resorts World Genting, Pahang. Resorts World Genting, or commonly known as Genting Highlands, is one of the famous and well-received hill resorts in Malaysia. The hill resort at 6,000 feet above sea level and enjoys chilly weather all year long; just less than an hour drive away from Kuala Lumpur, the resort is often the famous spot for a quick weekend getaway for most families. The group announced plans to redevelop the place earlier and now, the place has a completely new face and transformation. First of its major development plans include Sky Avenue, a lifestyle shopping mall, Genting Premium Outlet and the most anticipated 20th Century Fox Theme Park; the theme park falls under the later phase (expected to be complete in 1st Quarter of 2018) but Sky Avenue and Genting Premium Outlets have recently opened its doors to the public, adding a variety of fashion retails, food & beverages and various entertainments to the resorts. Choosing where to go or what to do may be a little overwhelming, hopefully this guide may give you some ideas for your next trip. Many Thanks to Resorts World Genting for the arrangements. What To See at Resorts World Genting? - Showtimes: 10 am to 6 pm (once every 2 hours) and 6 pm to 12 midnight (once every hour). Right smack in Sky Avenue (and outside of Sky Casino/ Level 1 of Sky Avenue), there is a huge space dedicated for virtual storytelling. At certain times of the day, there will be "performances"; expect the light bulbs to fall down and transform into different shapes backed by sensational background music. The place is accessible by all public and the 5 minute-show is completely free of charge (no entrance fee is required). It's impossible not to notice this place with a huge facade on 1st floor of Sky Avnue (a stone's throw distance away from the Sky Symphony). Picture House Cinema is one of the latest attractions of Sky Avenue; it works exactly like a cinema with some of the latest movies aired. All the halls are equipped with Dolby Atmos sound system and the seats are ergonomically designed to ensure comfortableness. What surprises us was the price of the movie ticket, it's more or less the same that we can get in the city, what's more at the top of the mountain. If you must know, the "Special" ticket includes Pop Corn and a beverage. - Business Hours: 8:30 am to 5:30 pm. Opens Daily. The 15,000 square feet Art Gallery brings its visitors to have a look of the rich history and culture of the east coasts states in Malaysia- Terengganu, Kelantan and Pahang. The hall displays an array of arts and crafts from yesteryears and various traditional games as well as musical instruments. Guided tours are available 3 times a day at 10:30 am, 1:30 pm and 4:30 pm, 30 minutes per session. There are some interactive games like Congkak or Chess available too. What To Do at Resorts World Genting? - Spa Treatments: 11 am to 1 am on every Sunday to Thursday; 11 am to 2 am on Fridays and Saturdays. While the Resort has unlimited entertainment facilities- casino, all you can eat buffet, booze-filled lounges or even retail shops, there is one particular type of not-so-guilty leisure- spa and massage. Spas are a place to disconnect, rejuvenate and to decompress; tucked in one lovely corner of Genting Grand (ground floor), M Spa and Fitness provides the perfect platform for you to relax and pamper yourself at the hill top. The award-winning Spa Center offers quite a few packages- Body Massage, Spa Treatment, Facial Treatment, Hands and Feet Care and even Teen Spa; depending on your needs, the packages varied in terms of relaxation, therapeutic, promotes sleep or blood circulation. More information can be found on their website. If you are looking for a quiet, picturesque spot to indulge over brunch, make your way to the 18th floor of Maxims Genting. Right next to the pool is a restaurant known as E18hteen- a dining spot that boasts over a scenic view of more than 6,000 feet above sea level and be enveloped in a modern-contemporary setting. The restaurant is relatively unknown to many (except the hotel guests at Maxims Genting) so expect it to be less-crowded and much quieter than those clamoring outlets near First World Hotel. For semi-buffet breakfast, the restaurant charges Rm 68 nett (per pax/ Geting Rewards Card Members) with a choice of Main (from the menu) and unlimited refills from the buffet spread (cold cuts, loaves, cheeses, cereals, salad and fruits); a truly affordable luxury for such an extravagant decadent brunch. Full review can be found here. - Business Hours: 12 pm to 10 pm on Mondays to Thursdays; 12 pm to 12 am on Fridays; 11 am to 12 am on Saturdays and Public Holidays; 11 am to 10 pm on Sundays. Opens Daily. Set on the long-stretch of restaurants on the first floor of the lifestyle mall at Sky Avenue Genting Highlands, La Fiesta is a convivial spot filled with Spanish Hams, Tapas and Wines. Step in the restaurant and be instantly transported to Europe... the low-lit railway arch, hanging lights, wooden wine racks and a display of Spanish Hams near the entrance; suggesting diners to embrace its authentic Spanish atmosphere. Despite the heavy decoration, the food and drinks menu is serious. There are ample choices for wine lovers and even more for Spanish food aficionados. It covers a range of Tapas (including its signature Iberico) to Paellas and ends with choices of Spanish sweet treats. Albeit the serious setting, the items are competitively priced; watch out for the occasional promotions if you are on a tight budget. Their Paellas are amongst the must-order items. Full review can be read here. - Business Hours: 6 pm to 10:30 pm for dinner, 10:30 pm to 1:30 pm for supper (only Chinese menu is offered for supper). Opens Daily. Ltitude has a definite luxury feel to it, before you even get into the restaurant, you will be asked to present your Genting Rewards Card so for those holding Classic or Silver-ranked Membership, you will have to inform the concierge that you are visiting the restaurant (fret not, Ltitude opens to the public). All guests visiting Ltitude must possess valid Genting Rewards Card. Ltitude offers a Japanese-Chinese-Western menu, though prices seem hefty but they commensurate with absolute quality. 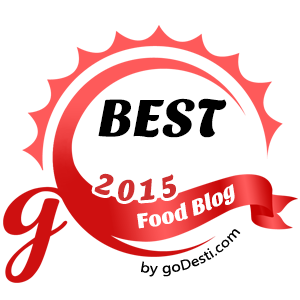 Note-worthy items include their signature Ltitude Ramen and Morel Mushroom Soup with Truffle Oil. Read the full entry here. - Business Hours: 10 am to 10 pm on every Sunday to Thursday, 10 am to 12 am on Fridays and Saturdays. If you enjoy local delicacies more, make your way to Malaysian Food Street on Level 4 of Sky Avenue where the food court houses 20 of Malaysia's most famous restaurants. It is separated into 5 different zones- Kuching, Malacca, Ipoh & Penang, Little India and Petaling Street. You need not travel North or South to find all Malaysian delights, most highlights of the Malaysian cuisine can be found here.... truly a celebration of local flavors in the clouds. Not only about food, every corner of the Malaysian Food Street is a photo opportunity. The retro interior decor reminds all Malaysians about the traditional facades in the 1970's and possibly, the essence of culture that we have been practicing for decades. - Check in at 3 pm and check out at 11 pm. Early check in will incur additional Rm 5. Enjoy your stay in Genting Highlands! Now where have I seen that odd-shaped lobster omelette? I guess somebody must have blogged about it already. It really is it's own city on top of the mountain.